With 45 offices & 2500+ registered sub brokers and authorized persons spread across 500+ cities and a large client base investors, SMC is known for its life-long and steady relationships with all its Business Partners/Associates. We believe in long-term commitment and association that plays a vital role in the growth of any business. 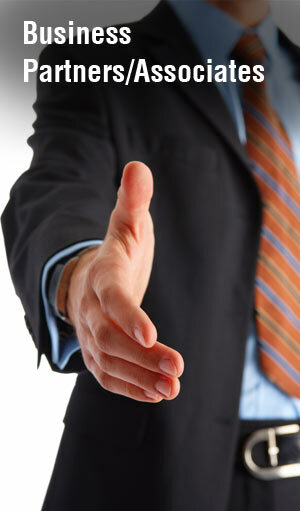 SMC believes in growing with its Business Partners/Associates. Our dedicated efforts and continuous improvement in our services has made us one of the most respected and largest broking houses with a huge network of Business Partners/Associates across India. 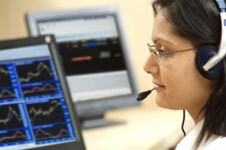 SMC provides its sub-broker with the right tools and support. Association with SMC means a strong bond with one of the largest broking firms of India. SMC invites you to become a Business Partners/Associates. SMC facilitates trading activities in all the major market segments including; equity, derivatives, commodities, interest derivatives and currency futures. It’s robust and user-friendly trading platform enables to execute trades simultaneously across all Segments. We also have whole bucket of other services like online trading, depository, IPO, mutual funds, insurance broking, institution broking, margin funding, NRI services, clearing services, investment banking, PMS, wealth advisory and research to provide you extra edge over others. Large avenues of investment solutions and financial services under one roof. Overall support in start-up, training, marketing, advertising, client acquisition and recruiting etc. Marketing support though TV, Newspapers, Website, Brochures, Posters, Standees, Canopies, and Product E-mailers etc. What are the products and services offered by SMC through its Business Partners/Associates? What is the earning potential of a SMC through its Business Partners/Associates? Does a Sub-Broker have to be registered with SEBI, NSE & BSE? Yes, to become an authorized Sub-Broker it is necessary to get registered with the respective stock exchanges and SEBI. What are the eligibility criteria for becoming a Business Partners/Associates? What are the infrastructure requirements for becoming a Business Partners/Associates? Workstation with ISDN/VSAT connectivity required to set up a trading terminal and back office systems. How Can I represent myself as a Business Partners/Associates? Do I have access to research reports published by SMC and also the opportunity to personally interact with the research analysts? Yes, you have complete access to all types of research reports published by SMC. We also give you opportunities to personally interact with our research team via conference calls, chats and also research seminars. We also support our clients through Intraday SMS, E-mails and our weekly research magazine ‘Wise Money”. What kind of marketing support would a Business Partner/Associate receive from SMC? A SMC Business Partner/Associate would receive the Marketing Support through TV, Newspapers, Website, Marketing Collaterals, Seminars and Events, Outdoor Signage Posters, Standees, Canopies, Newsletters and Product E-mailers etc. Will the employees of a Business Partner/Associate receive Product Training from SMC? Yes, employees of Business Partner/Associate will be trained on all the product offerings and consistent assistance will be provided in understanding different aspects across the product line. I have never been a Sub-Broker. Will that affect my eligibility? No, we look at the ability of an individual and his experience in the financial markets. We also access your reputation in financial services/other businesses/social records with a good client base and past track record. How should I analyse the performance of my clients? SMC has a dedicated section on the website where you can check various data and reports that will help you to analyse and make effective decisions.